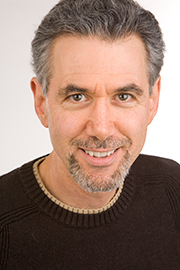 Jeff Cohen was the founding Director of the Park Center for Independent Media and Endowed Chair / Associate Professor from 2008-2018. The center’s mission is to study the growing independent media sector, encourage career paths inside independent outlets and examine the impact maverick, entrepreneurial and independent institutions are having on journalism, politics and culture. In the 1990s, he co-wrote the nationally-syndicated Media Beat column; his columns have appeared in major dailies such as Los Angeles Times, Washington Post, USA Today, Arizona Republic, Boston Globe, Miami Herald, Newsday and Oregonian – and online on websites like CommonDreams, HuffingtonPost and Alternet. Jeff has appeared regularly on national TV and radio, and was a political commentator on all three cable news channels. He was senior producer at MSNBC's Phil Donahue show until it was terminated on the eve of the Iraq war. He is the author or co-author of five books, including Cable News Confidential: My Misadventures in Corporate Media.